Though immediately recognizable in public discourse as a modern state in a political "hot zone," Armenia has a material history and visual culture that reaches back to the Paleolithic era. This book presents a timely and much-needed survey of the arts of Armenia from antiquity to the early eighteenth century C.E. Divided chronologically, it brings into discussion a wide range of media, including architecture, stone sculpture, works in metal, wood, and cloth, manuscript illumination, and ceramic arts. 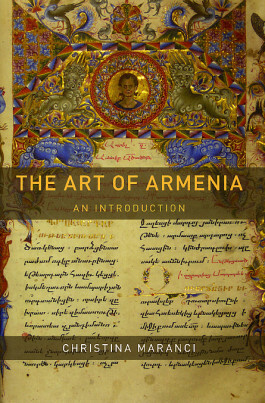 Critically, The Art of Armenia presents this material within historical and archaeological contexts, incorporating the results of specialist literature in various languages. It also positions Armenian art within a range of broader comparative contexts including, but not limited to, the ancient Mediterranean and Near East, Byzantium, the Islamic world, Yuan-dynasty China, and seventeenth-century Europe. The Art of Armenia offers students, scholars, and heritage readers of the Armenian community something long desired but never before available: a complete and authoritative introduction to three thousand years of Armenian art, archaeology, architecture, and design.